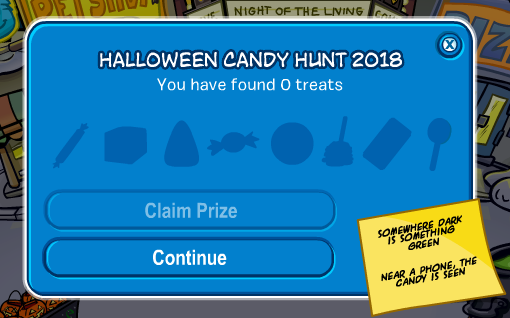 Today we’ll be taking a look at one of the most recent events held on CPR, the Halloween Candy Hunt of 2018! We’ll give you a step-by-step guide to make sure you have a sweet time. 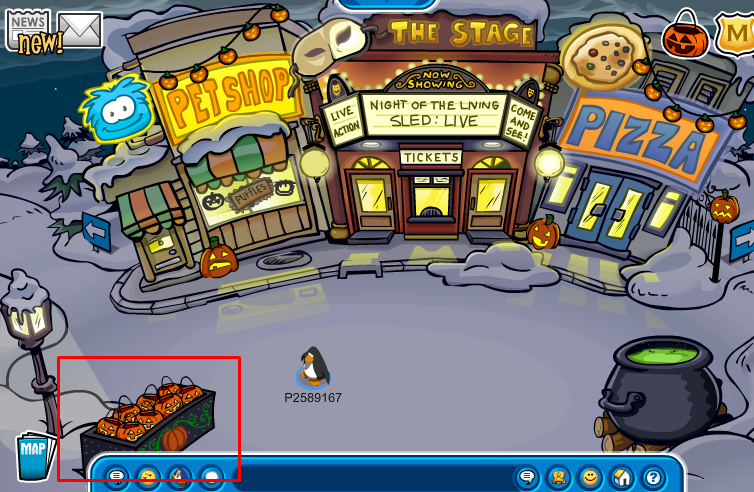 First, grab yourself a pumpkin basket for all the collectibles from the Plaza. 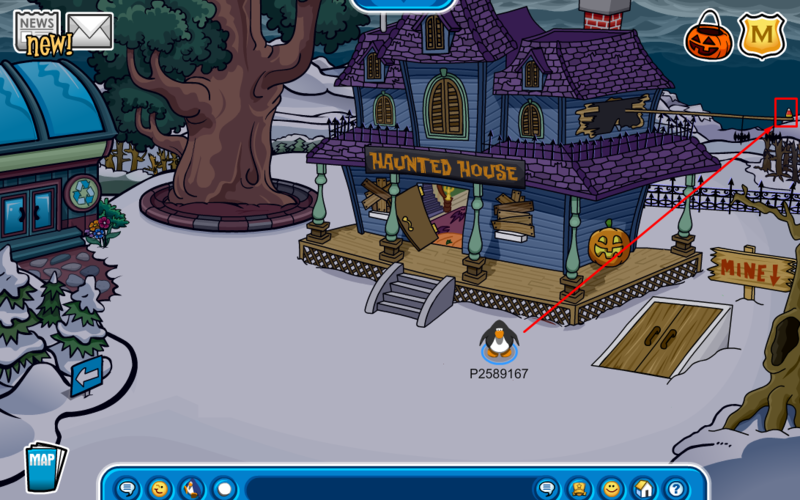 Next, open up the basket interface and get the first clue. 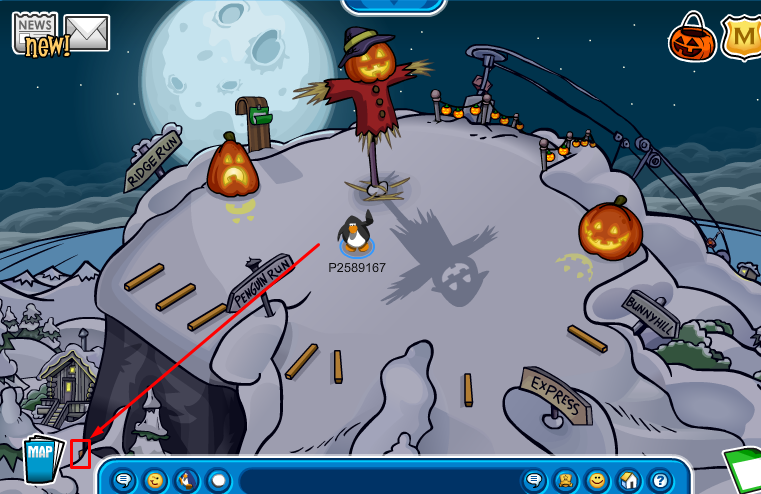 All of the clues can be found on the notecard after you find the one it’s hinting at, and if you want to complete the hunt yourself read no further! 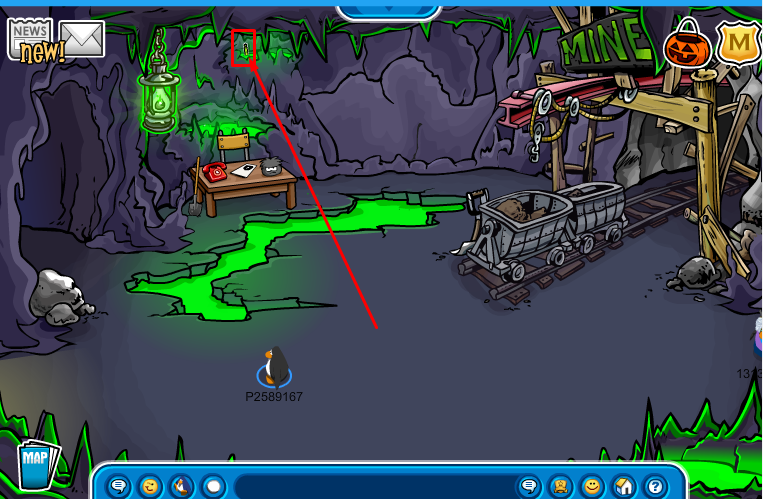 The first candy can be found inside of the mine in a small pool of green liquid on the wall. 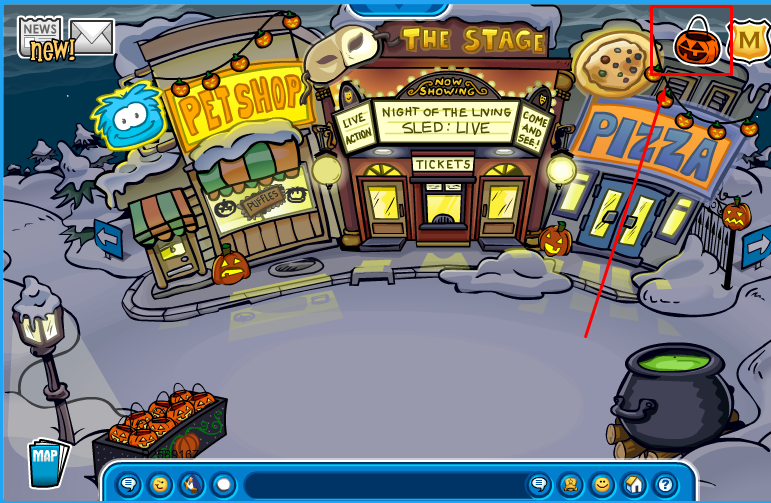 The second candy, a caramel, is found at the Ski Hill in the bottom right corner of the screen. 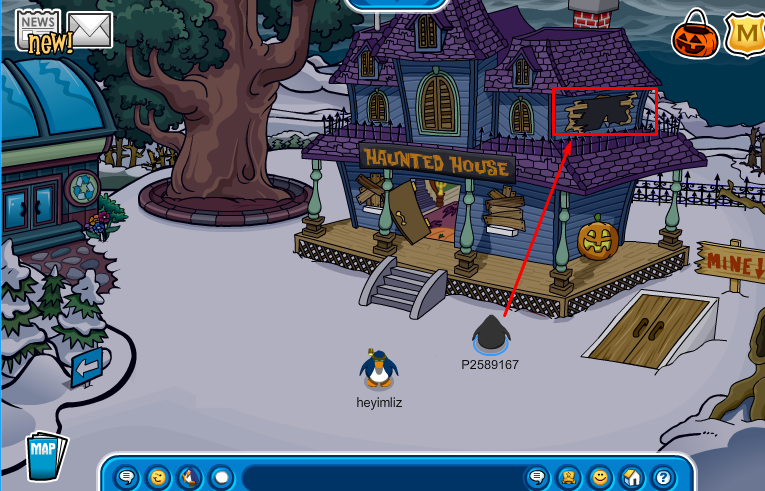 The third candy is found at the Mine Shack by clicking on the broken boards in the haunted house. 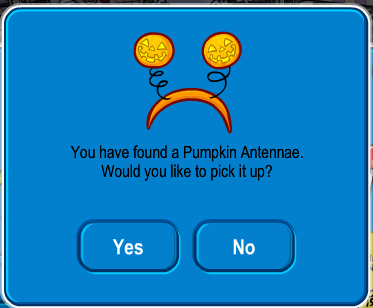 This pops out a line of decorations with a Candy Corn sitting on it. 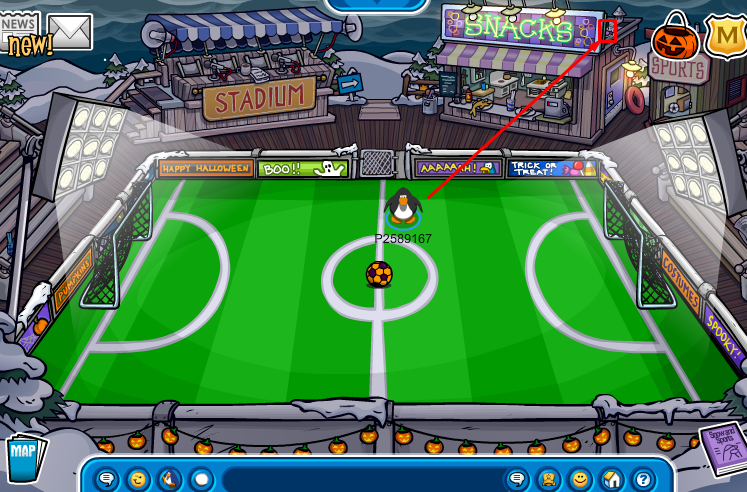 The fourth candy is hidden behind the Snacks sign at the Stadium. 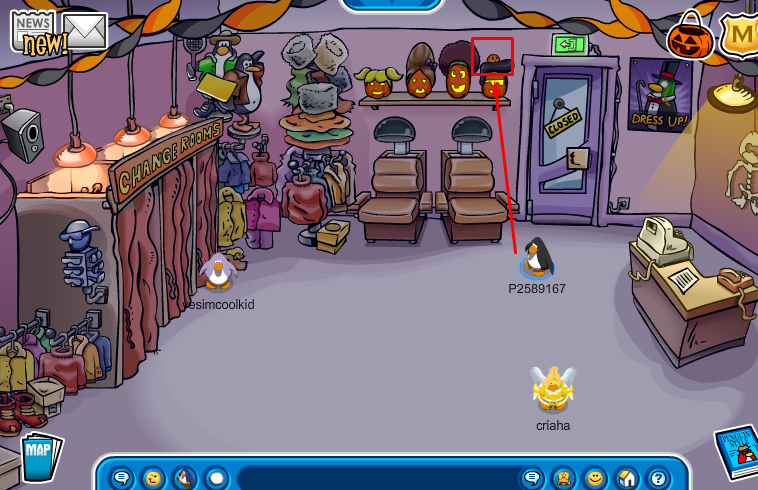 The fifth candy is on top of a pumpkin inside of the Gift Shop. 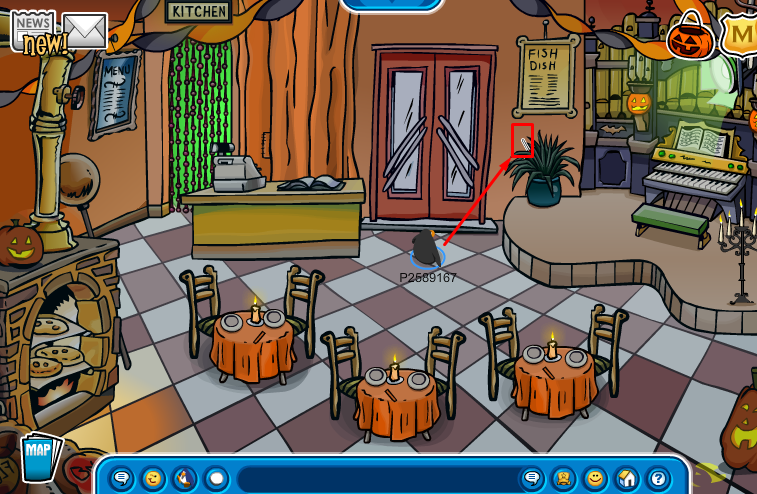 The sixth candy is found in a plant inside of the Pizza Parlour. 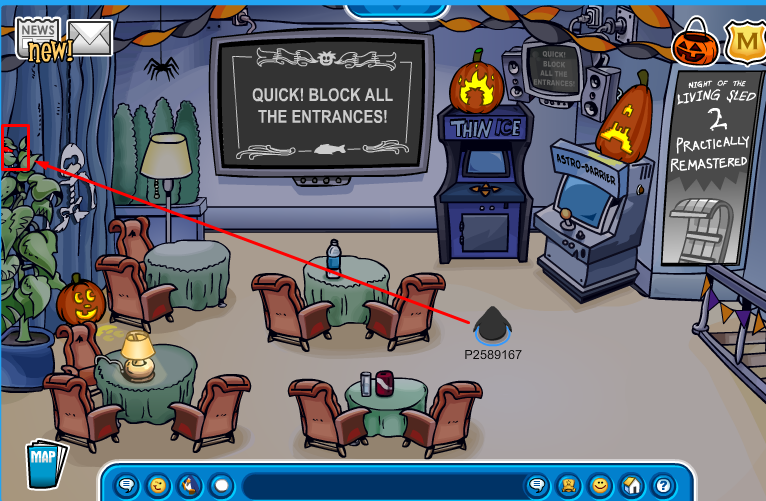 The seventh candy is hidden behind the popcorn machine in the Lighthouse. 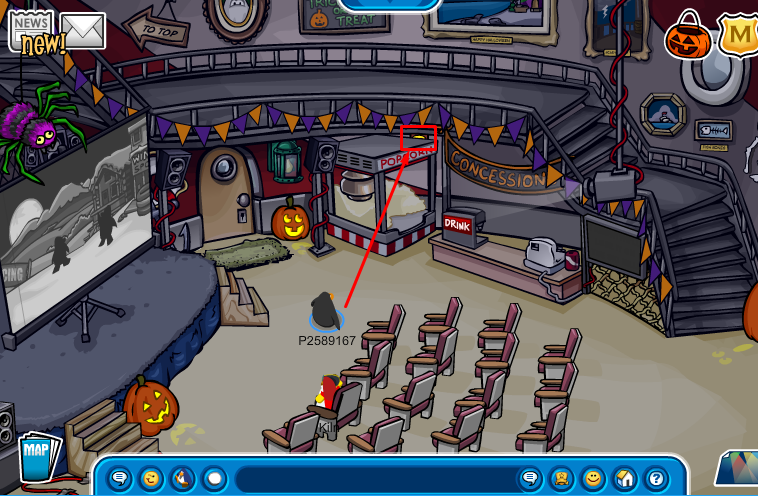 The eighth and final candy is found atop a plant in the Dance Lounge. 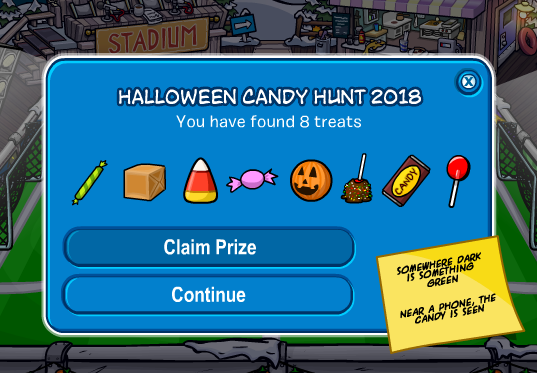 When you get all your candies, simply go back into the basket interface and claim your prize!